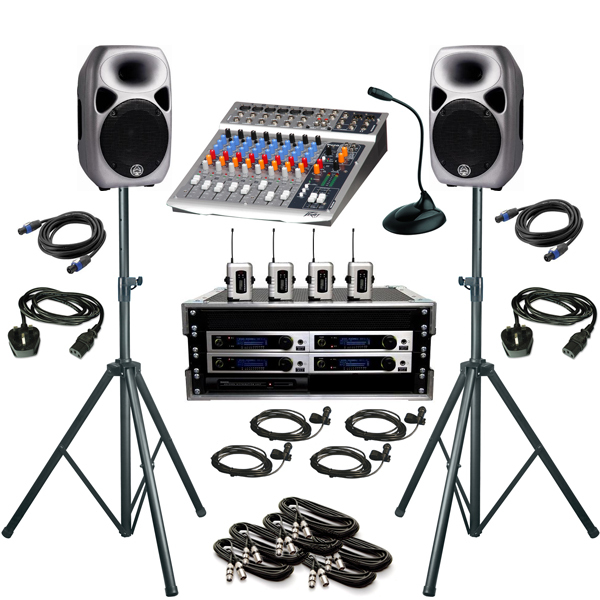 We have an array of hire systems for customer who need PA systems for events in conferences and business events and exhibitions. 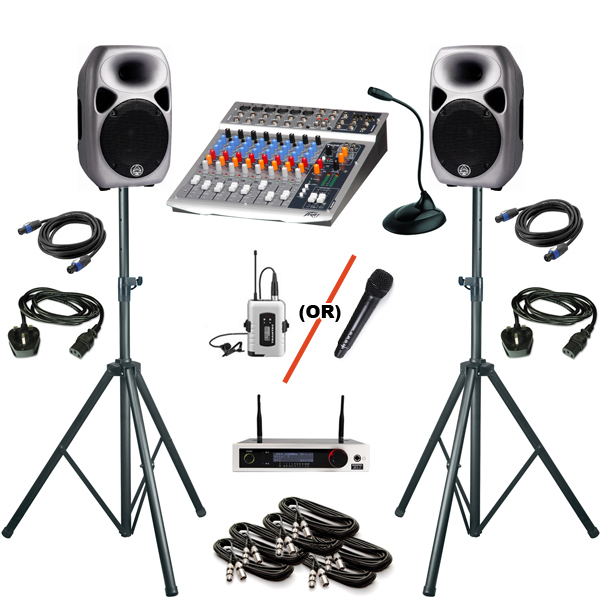 These systems can be used for a variety of conference events of all sizes. 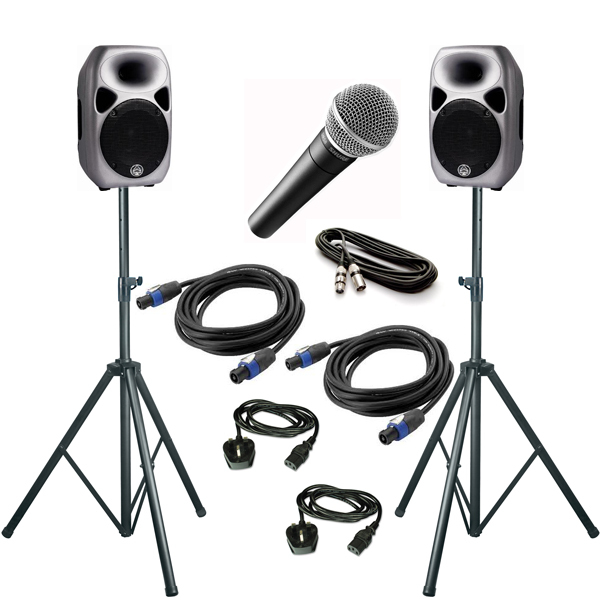 Perfect for sound reinforcement, speeches, presentations and background music. We can deal with all aspects of your hire, from delivery to set up and collection, making your conference event as simple as possible. 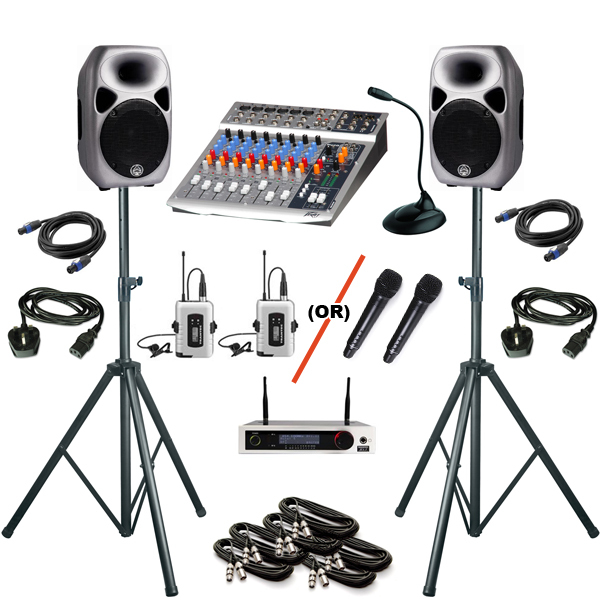 We have selected our most unintrusive PA systems to insure that the atmosphere and asthetics of the conference are not spoiled by massive speakers and PA equipment and cabling. 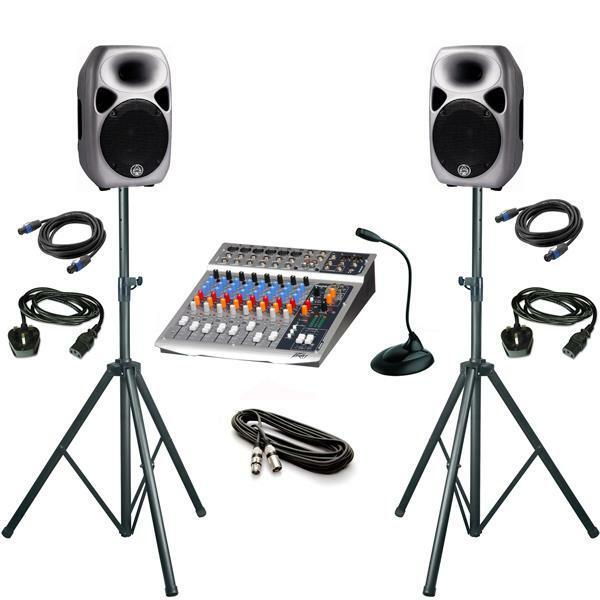 This Package has been designed for Clients who merely need sound reinforcement for a presentation, using a high quality vocal microphone and our compact yet powerful PA speakers. PA speakers that by design perfectly integrate into any conference room. Using a high quality desktop microphone as well as four Wireless Microphone (tie clip) with room for extra audio inputs on the mixer for background audio / laptop presentation audio. Our PA speakers that by design perfectly integrate into any conference room.